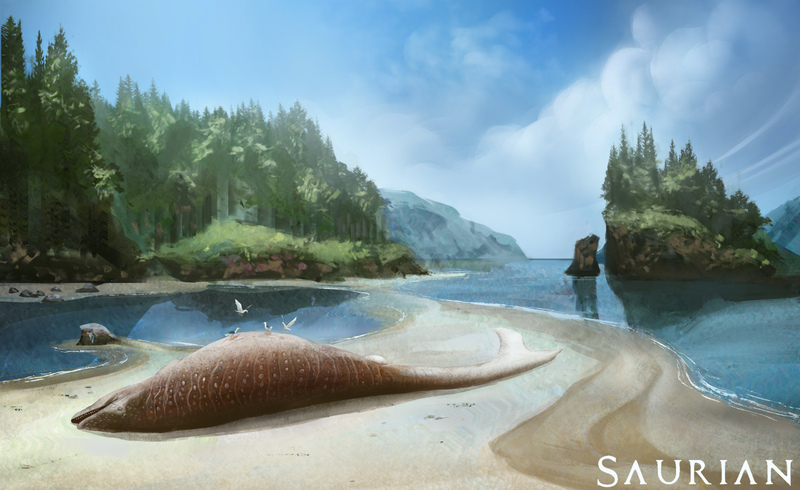 A beached mosasaur? You guys have really outdone yourselves! This may be the most realistic game I've ever known. Western Interior Sea shoreline. Saurian environment concept by RJ Palmer.